Packaging Size (ex. 1L or 1Kg): 10 ltrs. The policy made by our company makes us occupied in providing a quality assured Water Based Fire Resistant Primer. as the priming coat. It can resist alkali attack to distemper. It has excellent sealing properties. Surface of Application: Brush/Roller/Spray Use a Nylon/Polyester Brush. This product provides excellent adhesion to a variety of substrates like films and plastics including polypropylene substrates. BPA free water based system. It is water thinnable primer based on superior quality Acrylic emulsion.It is highly pigmented system for better coverage. Description: Royal touch is a water based finish that imparts a new look to surfaces painted with it. We are supplying Water Base interior Emulsion, Exterior Emulsion, Interior Primer, and Exterior Primer in good quality. Customize requirement are also solicited for Water base paint. Our Water Base Primer Angle Paints are known on the brand name of Ambekar's Water Base Primer Angle Paints. To meet diverse requirement of the patrons, these Water Base Coating Primer (Epoprime WB) products are supplied in the market in safe packing. In addition to this, these coating products are quality checked by the experts before supplying in the market. 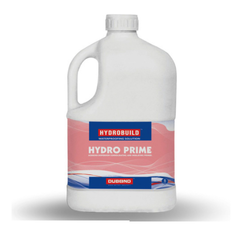 We offer our clients an exclusive range of Primers that is formulated to provide excellent flow and smooth finish to the surface on which it is applied. Primers are good to apply before any top coat to make it a good coverage and fine results to top coat. Area of Application: Interiors on All types of plasters, false ceiling, asbestos, etc. Packing Available - Ltr. : 1, 4, 10 and 20. 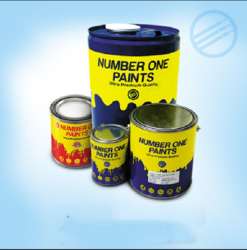 Dilution Ratio for paint: >500 ml / ltr. British Paints All Purpose White Primer is a solvent thinnable primer which is meant for all kind of surfaces including interior walls, wooden surfaces and metal surfaces. We are providing an excellent quality array of Acrylic Water Thinnable Primer to our prestigious clients at very affordable rates within committed period of time.